A More Excellent Way supplies profound knowledge about the secrets of healing and the prevention of disease. 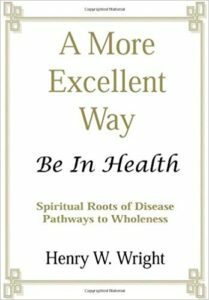 Using sound scriptural and scientific observation, Dr. Henry Wright leads the reader on a journey of personal responsibility, identifying root causes to specific diseases and offering pathways of healing and wholeness that were never meant to remain dormant in the body of Christ. Here, you will understand why mankind has disease, identify specific blocks to healing, and discover spiritual pathways to health. Hundreds of thousands have experienced healing through the discernment found in A More Excellent Way when nothing else was working. An invaluable resource in understanding the spiritual dynamics behind diseases of the spirit, soul, and body, this book is a must-read for spiritual leaders, health-care professionals, and individuals everywhere! Another book given to me by my cousin. This book has taught me to be thankful even in the hard times. To be able to look at God's creation and see his gifts to us when things are going good and things are hard. It also has a devotional book. This is a book that helps us deal with our insecurities. It is a Great Read. We all have insecurities. This book will help us identify them, and help with dealing with our insecurities. How we respond to our insecurities, how it affect our life and how we can not be insecure any longer. One of the ways that God can help cure us is for us to learn as woman to help each other out. That is one of the things that I do in counseling. That is what The Lazarus Life Group is all about, helping each other. 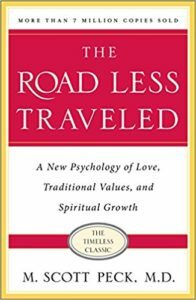 This book gives help on how we can learn to do just that. This was one of the books that my cousin Linda was reading when she died. When I visited her place for the memorial this was laying by her bed. She had it all written in and underlined. It looked like she was reading it for the second time. 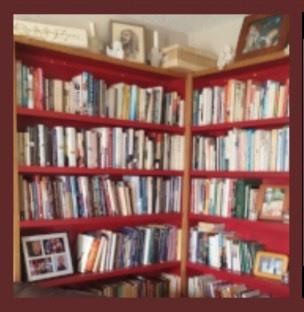 Linda and I would read books together and chat about them. So, I picked her copy up and started reading it almost like I was reading it with her. I journaled about it on my blog so if you go into my blog from April 1, 2017 to July 1st you can read along with me. I would read a section and then journal about it. Go on the journey with me. 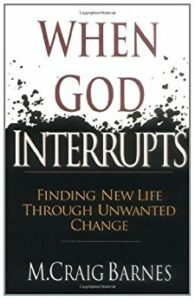 When God Interrupts is for men and women who are not living the life they had planned. It is for those you have faced significant loss, loss that has forced them to make a frightening choice. Will they clutch at something else for their salvation? Or can they leave their hands open long enough to receive the life Jesus was dying to give them? Spouses die or depart. Friendships wither. Health fades. Children grow up and leave home. We move to new jobs and new towns. The dreams and securities of the past are shattered, hopes for the future disappointed. Nothing stays the way it was or turns out exactly as we had expected. Life, it seems, is necessarily dotted with loss, marked by abandonment. All this should come as no surprise to Christians, those who are called to lose their lives in order to find them. So, if we try to follow Jesus, we can count on a great deal of abandonment. The good- but hard- news of the gospel is that abandonment can be embraced as an opportunity to receive new life.